Justin Wolfers & Erin Riley (eds. 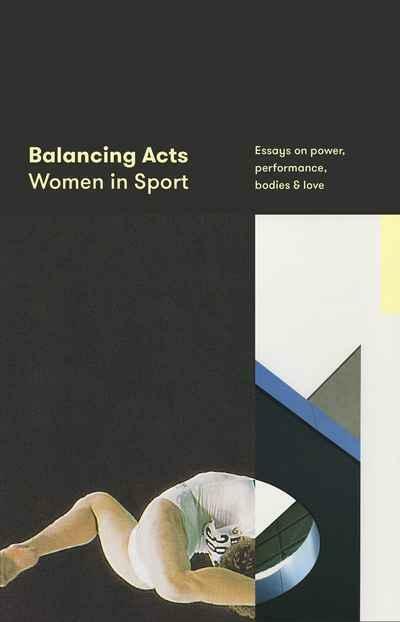 ), Balancing Acts: Women in Sport: Essays on power, performance, bodies & love, Melbourne: Brow Books, 2018. Available HERE. There seems to be a lot of good books on sport over these last few years. Long-gone are the days in which sports books were either hagiographical biographies of legends or dry academic texts read only by their authors and a few of their associates. Perhaps blog writing has spawned a stronger impulse to publishing the voices and perspectives of fans. Blogs have shown the depth and reach of sports within our daily imagination and practice. The results of games and tribulations of players make up a tiny fraction of our interests in sports. Players and ex-players are becoming more open in talking about their encounters and experiences within the game as they seek to broaden their post-professional-playing career. 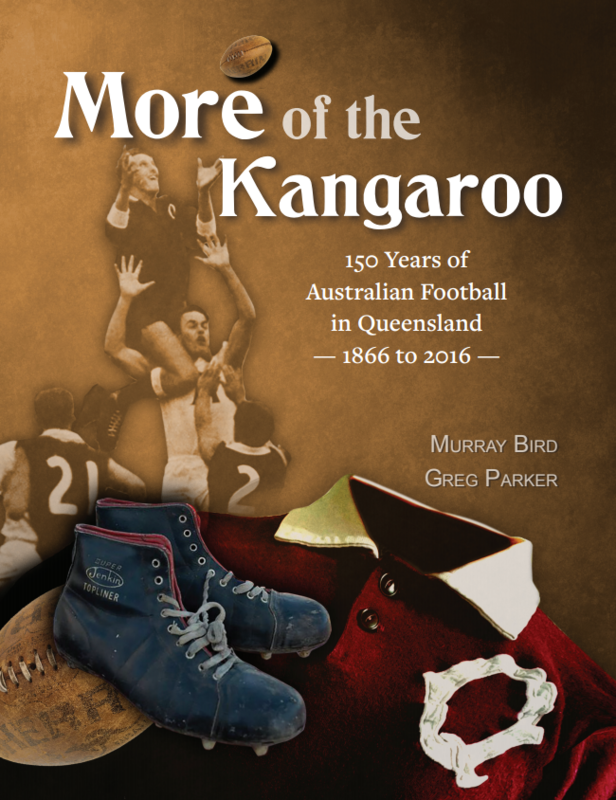 There is also Ange Postecoglou’s book which combines both memoir with tracts on how to improve soccer in Australia. Brow Books, of Melbourne-based, The Lifted Brow, has published Balancing Acts: Women in Sport – edited by Justin Wolfers and Erin Riley). The book is largely an effort to get a better understanding of how gender makes up and informs our everyday practices of playing or watching sport. One of the main strengths of the book is in its coverage of sports which rarely attract mainstream, mass media attention. The starting points for the essays include the authors’ experiences of cycle road racing (Imogen Smith), trampolining (Kate Doak), netball (Laura Buzo), chess (Katerina Bryant), local amateur football (Roslyn Helper), yoga (Gina Rushton), surfing (Holly Isemonger who draws on art critic, John Berger) and ballet (Nadia Bailey). The book also includes contributions from comedian Tegan Higginbotham (introduction), short-story author and poet Ellen van Neerven (a reflection on Venus and Serena Williams), Brunette Lenki (co-author of Play On! ), Outer Sanctum podcaster, Nicole Hayes. In an event to help promote the book at the Wheeler Centre (5th June), Kate Doak spoke extremely openly and succinctly of the role of her sport (trampolining) in providing both comfort and pleasure. I admit to wanting more information in the introduction. The book covers a wide range of subjects (a good thing), yet the links between the essays are not foregrounded in the introduction. The style, in general of the essays, is reflective and literary, rather than being tightly written analyses. For me, sport is generally defined by three main attributes: physicality; the presence of a standardised set of rules, and the element of competition. Indeed, there are grey areas, and debates on definition can become distractions. What is lacking from the essays on say, the inclusion of essays on peripheral ‘sports’ such as yoga, ballet or chess, is a little engagement with the question of how they are sports, or how they relate to the tension of what is and isn’t sport. 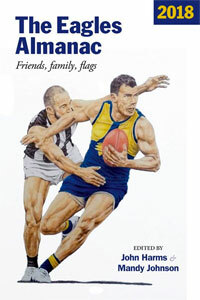 In Australian Rules football, the flight of the ball conducts a player’s movements into balletic stretches and twists and turns, but these happen within the confines of the field and against the wishes of an oppositional competitor. 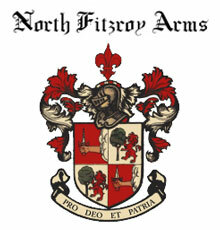 Mastery of the body, balance, adroitness are shared by dance and sports, but they are used for other ends. Both leave space for individual expression, and both are circumscribed by the rules of their field of ‘play’. The inclusion of the essays on ballet, chess and yoga, nonetheless, encourage the more-sports-dogmatic amongst us to consider practices outside our usual field. 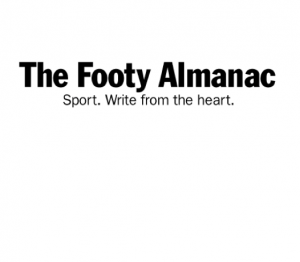 The second season of the AFLW (2018) came in for criticism owing to the haphazard scheduling of its Grand Final and the regrettably half-hearted efforts at promoting it through the AFL’s own media channels as well as through Channel 7. Adequate payment for players remains a constant source of consternation for both players and advocates of women’s professional sport alike. Imogen Smith provides an insight into the issues she faces as a competitor in women’s professional cycling. She writes clearly of the challenges she faces in negotiating a position where she can both point out the sexism inherent in the sport’s structures, while also not too significantly compromising her own standing and professional relationships within the sport. Smith concludes through suggesting that men too have a clear role in advocating equal pay across genders. It too would be great to see players from professional Australian rules clubs also advocate for more equitable payment for women in the AFLW. The disparity in payment for women recurs throughout the essays (see also pieces by Bryant, Isemonger, Buzo). Discourses of race are particularly fraught within sport. 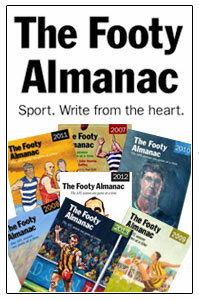 The AFL is seeking to defuse them a little within the context of professional Australian Rules, yet within tennis – or cricket or golf, for example – tensions simmer beneath veneers of etiquette and politeness. Ellen van Neerven, short story writer and poet, outlines her trajectory towards an appreciation of Venus and Serena Williams in juxtaposition to white Australians who laud them after earlier affronted by their blackness. Van Neerven’s essay is structured by her engagement with AB Original’s music, the coincidence of the 26th January with the Australian Open and her presence at a writers’ workshop in Vigan on Luzon Island in The Philippines. The essay combines a variety of discourses: tennis commentary and description, her messages with a friend back home, and references to lyrics from AB Original’s album. I find van Neerven’s writing to be strong for the openness with which she writes of her search for comfort in her identity and body, which is both precarious and vulnerable. There is a tension between her moments of assertion and generalisation and those of admitting uncertainty. The intimate narratives of writing, such as van Neerven’s, show a multi-layered reading of racism, its structures and its implications. I have other favourites too in this collection. I find Lenki?’s essay, “The Physical is Feminine” particularly arresting for its subverts the cliché that physical courage is manly alone. Lenki? concludes with a visceral description of child birth as the “ultimate expression” of corporeal bravery: “a woman pushes, grunts, screams, strains and sweats, her flesh tearing as her blood stains the bedding while she delivers a new child to the world” (p.23). 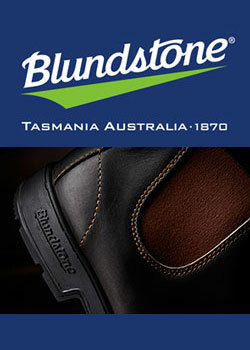 I’ll have this image (and sentence) in mind next time I hear some yobbo proclaim, “you’re a sheila Rance” at the footy. I too like Kasey Symon’s piece, “Am I Fan Enough?” (pp.255-262) Amidst the euphoria of the first season of the AFLW, way back in 2017, Symons remembers her sense of outsiderliness and the experience of watching women play a sport she had never watched women play before. Symons also reflects how women are more subject to having to prove themselves as ‘true fans’ with adequate knowledge of the sport or team they follow in a way that men don’t have to. Symons concludes that her process of becoming ‘fan enough’ will follow the trajectory of the AFLW. Some of the contributions are a little rough around the edges and could be strengthened through tighter editing and more detail. These minor weaknesses though are of little consequence. I speak of ‘favourites’ out of deference to subjective ‘taste’ rather than feeling that those essays are intrinsically better than other contributions in the volume. The strength of this book lies in the variety of perspectives – the personal, professional and the intimate – it gives to sports largely ignored in the mainstream media, while also revealing the complexities of ways in which women are subjected to discrimination and gendered stereotyping. great review. I loved this collection of writings for taking me places I had never thought about before. Loved the pieces on tennis, chess, ballet, cycling for giving me insight into a number of areas: the sports itself but the issues around participation and recognition. And maybe how we view ‘sport’ differently from each other. I lost the book in the middle of reading it and was so bereft I went out and bought a second copy. I felt like it stretched my mind. Probably worth a second read at some stage. Thanks for sharing your impressions of the book Yvette. Thanks for your review Andy. I loved this book. For a book with such varied contributions I felt there was a surprising evenness in quality. Agree with Yvette, worth a second read. I like the book, though I agree I found the introduction didn’t do a lot. There are some cracking essays, and I’ve taken to just picking it up every now and then for a twenty minute read. Yet to be disappointed.